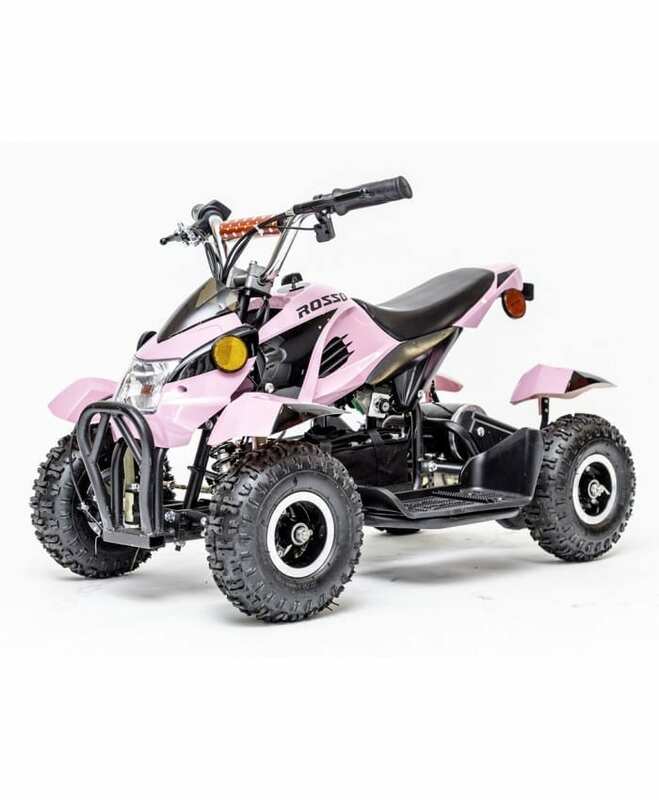 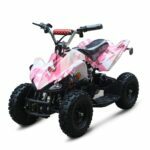 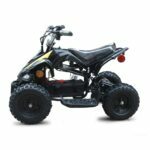 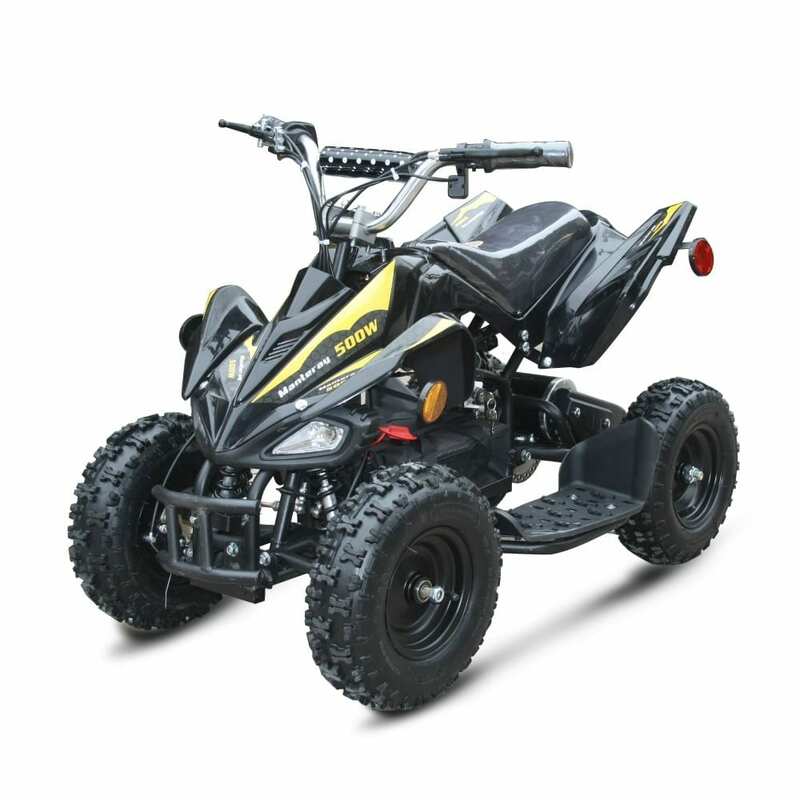 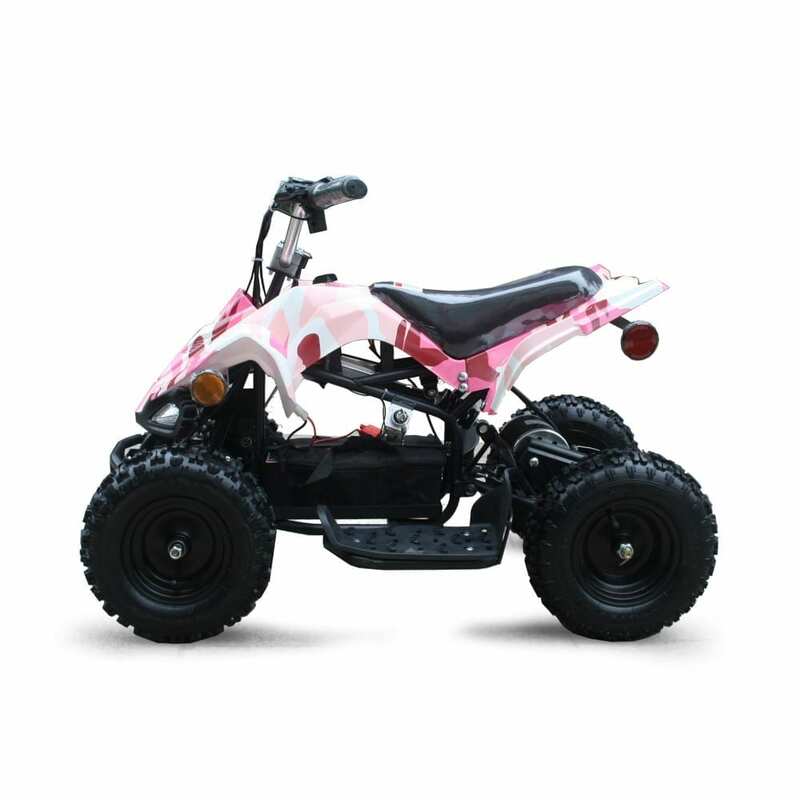 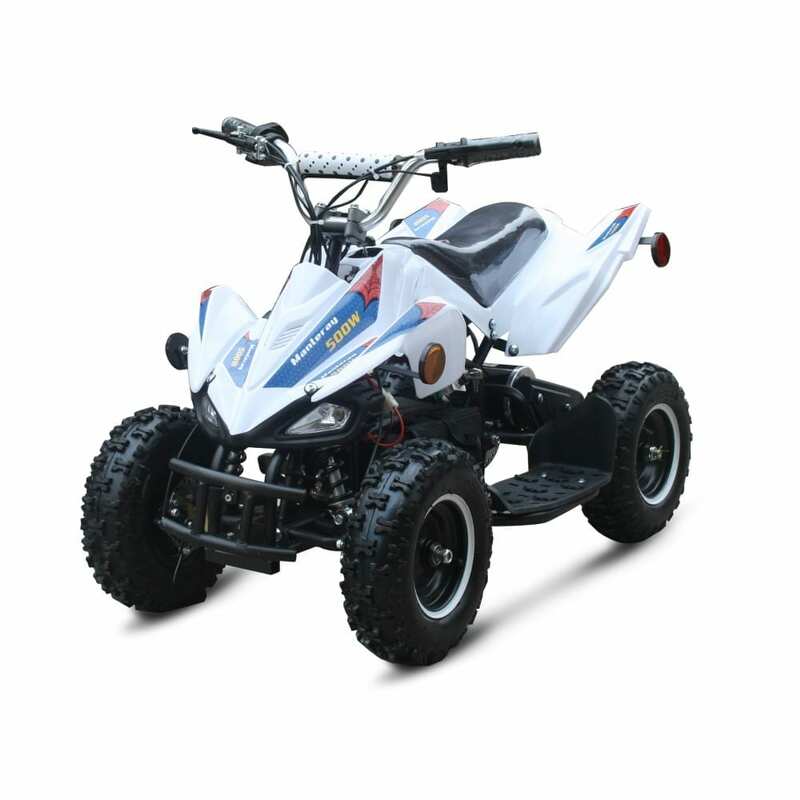 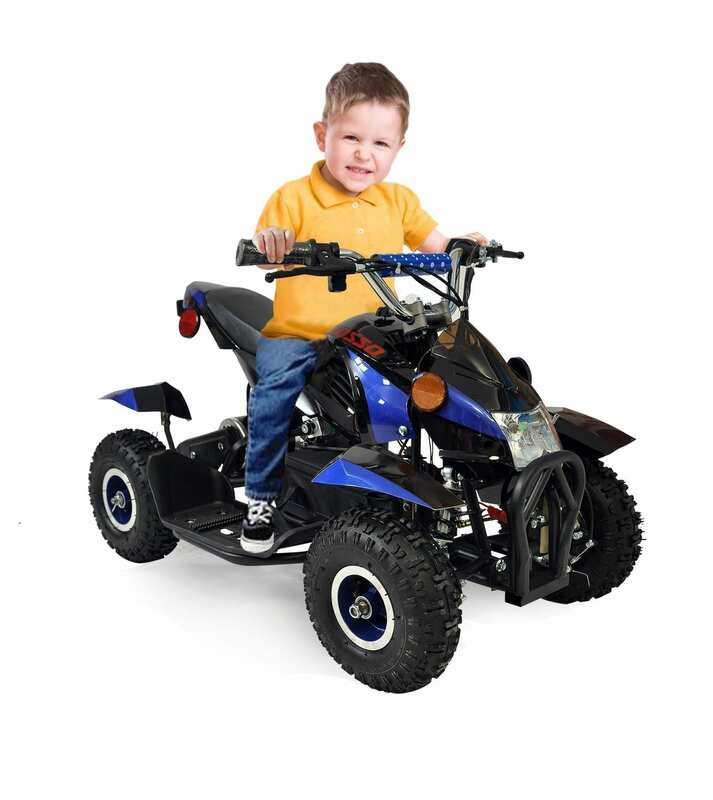 This Gio Roso Kids Electric ATV is recommended for kids aged 4 to 8 and has a 500 watt engine powered by a 36V12AH lead acid battery which full charges in 4 to 6 hours. 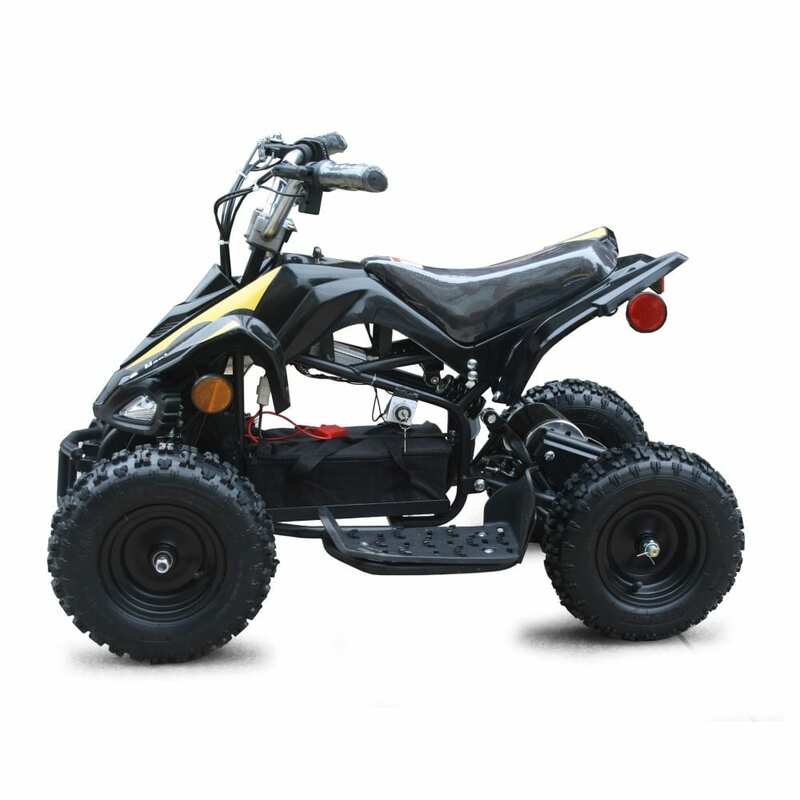 It has a top speed of 20 km/hr with a chain transmission system. 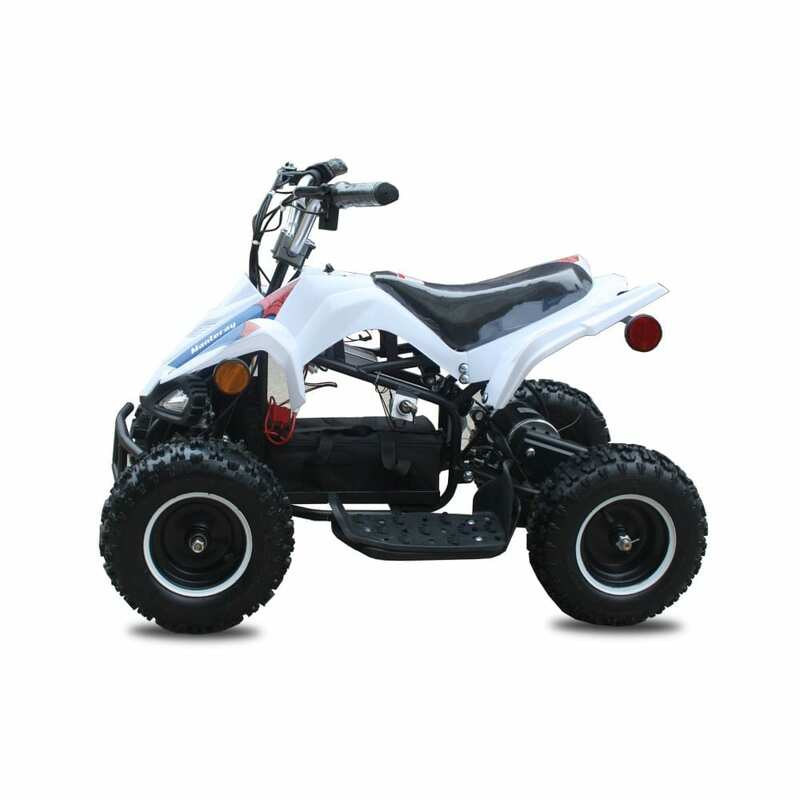 It is equipped with front and rear brakes for quick stopping and a 40 kg load capacity with 4 inch tires.